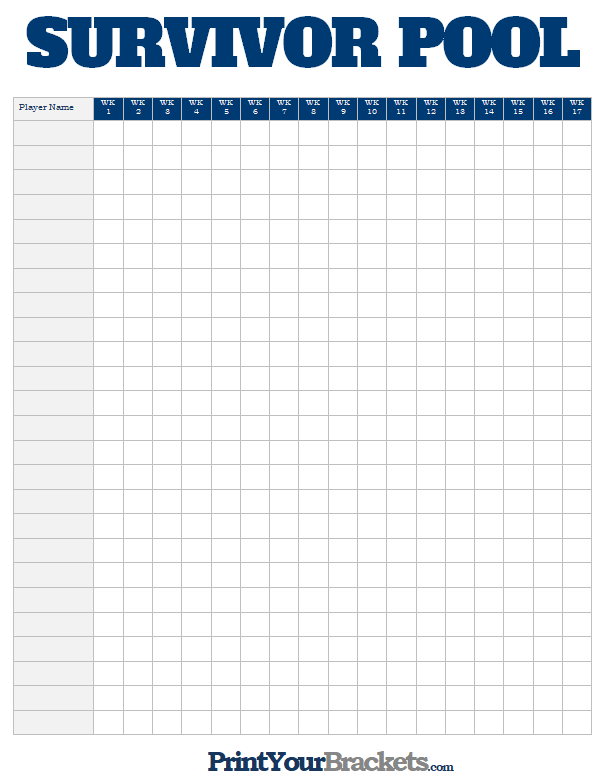 Below you will find two two different layouts of our Printable NFL Survivor Pool. The first is in landscape and the second is in portrait. You can also Customize this Pool, which will allow you to edit the title/header of the pool and also gives you the options of directly typing in the rules and prizes of the pool before printing. Also check out our NFL Survivor Pool Rules. For a couple different variations try our NFL Streak Pool and our NFL Margin Pool. 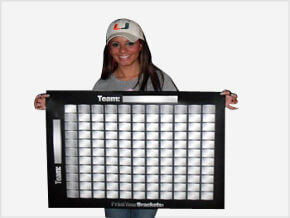 Don't forget to check out our Poster Size Football Squares which can be used for any game of the season. Try our Even-Odd Football Pool and our NFL 33 Pool! View our Expert Survivor Pool Picks!